PHP-Fusion is the best way to make your commercial or personal web projects with the most robust environment you can get. PHP-Fusion is an all in one integrated and scalable platform a lightweight open source content management system (CMS) written in PHP that will fit any purpose when it comes to website productions, whether you are creating community portals or personal sites. With PHP-Fusion 9 we have changed over 1 million lines of codes. Here are some of the most compelling features that 9 offers. The News Infusion has its own news access control, seperated news snippet, language management and a news unique gallery. 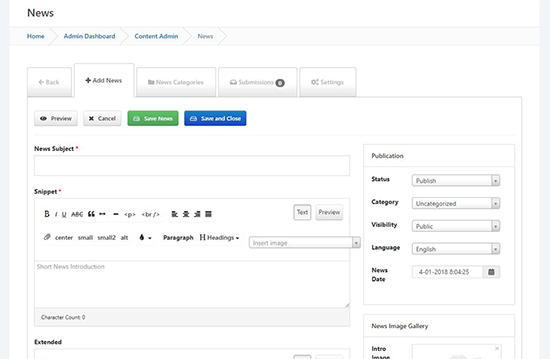 News Infusion is the mainstream infusion for best content management that can run fitting all requirements from running it with your existing or new editorial team. 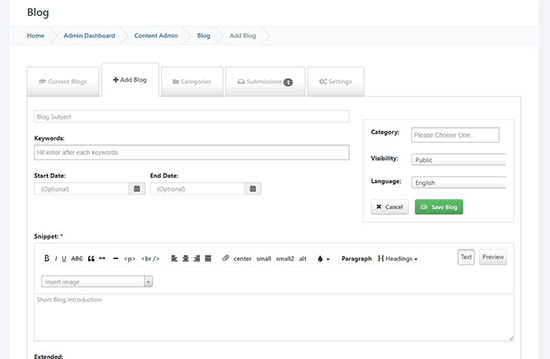 The Blog Infusion is a small stream, yet simpler application that allows you to run a blog media publishing platform. Less feature but performs a split second faster than the News Infusion, the Blog Infusion will be the best fit into almost all aspects of daily blogging needs. 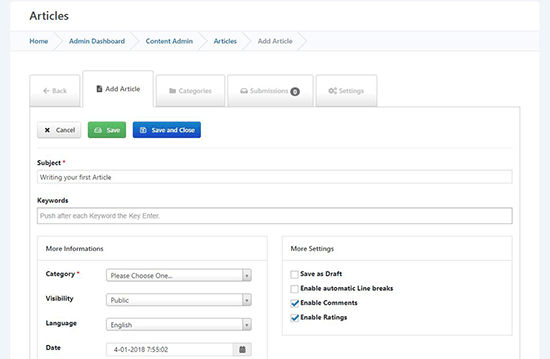 The Articles Infusion is another application under the specific article content type. It is the simplest form of content auditing for setting up a knowledgebase, less much of a wiki. 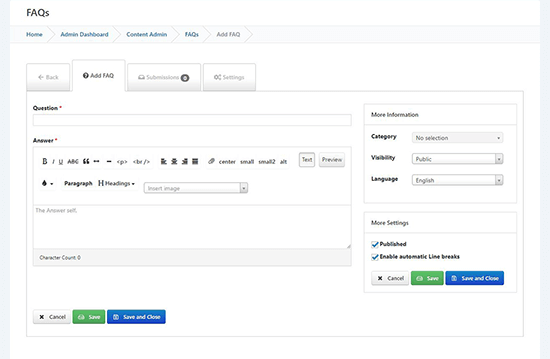 It comes with a snippet and a body field only to meet the minimum essential requirements to run content on your website. Upload your photos and organize your photos with album. 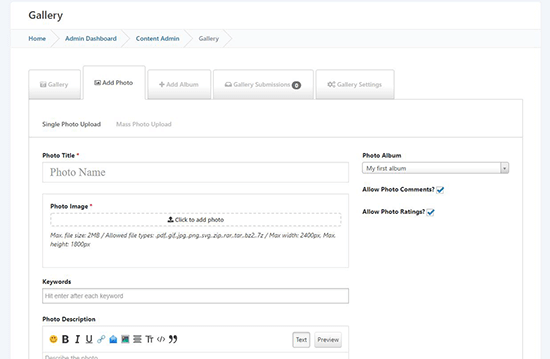 The Gallery Infusion is an intuitive way to blend photo management seamslessly and provide the photos to community users. Downloads Infusion is a file sharing application intended to cover all file transfer needs. 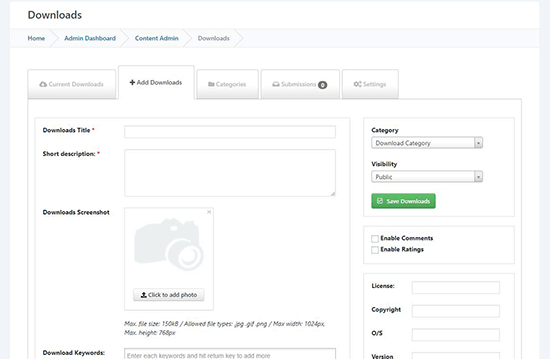 Downloads Infusion is a comprehensive file hosting sharing website with security access control, and file information management. FAQs Infusion is a frequent asked question application. Frequent Asked Questions (Faqs) Infusion allows you to build a knowledgebase for site users to self-help troubleshooting or learn about common issues. Forum Infusion is a Discussion Form or Bulletin Board application that allow you discuss about just any topics you set up with the community. 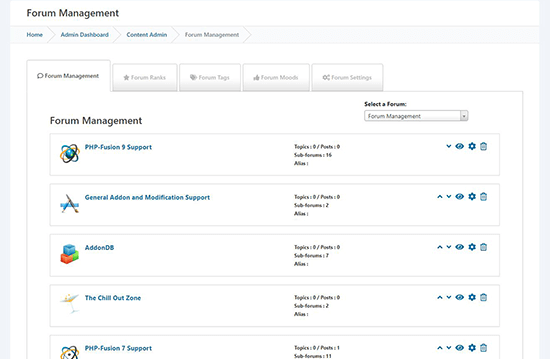 Forum Infusion application has all the feature such as Question & Answers, Links, Nested Category, Access Controls, and creating unlimited forum and it's subspaces. To keep everyone updated to latest events, the Forum Infusion has built Filters, and Focus pages such as Latest Discussions, Unanswered, Unsolved, and Subscribed so people can always find what they need which becomes a very convenient tool for building community with your website. Weblinks Infusion is a turn key solution allowing the management of a web directory based in minutes. The Weblink Infusion supports nested categories, access control, and add link items easily, which makes it a very comprehensive link directory application. PHP-Fusion has a great balance of helpful community and volunteers that delivers a constant rate of code improvisation nearly every day. Our developers are constantly sifting through the PHP-Fusion stack for more innovation as a means to get you to the latest improvements for your website. PHP-Fusion gives much concerns to practicality when developing an application and may continuously tear down, rebuild, modify or expand on features that becomes essential to the modern internet use. We scale our technologies consistently and through time - deliver a software that everyone loves. Developer Live! Showcasing our development commits fetched from Github. We have 106 active forks contributing around the world, 78 project followers and 46 project subscribers. Last commit 2 days ago. The best way to learn is through trial and error but we can help you along the way ~ register today! PHP-Fusion is not just a software. It is a software evolution from communities around the globe. 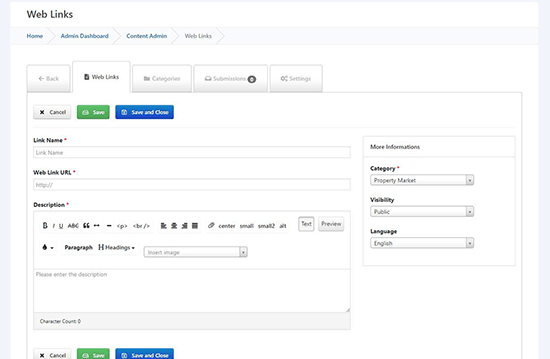 Instructions on how to install PHP-Fusion CMS. Developing on PHP-Fusion? Check out our API documentation. We constantly write new materials and maybe you could pick up a few new trades. In a User-Centric World, We Create Value Earlier and with More Reliability. PHP-Fusion aspires to improve the way the world perceives content management systems by developing a fully-loaded site management solution. By utilising an agile approach, we're able to deliver trustworthy shareables which permit us to rapidly generate tangible results that define and enhance your interpretation of the ideal web experience. Our technological innovations, trend awareness, and consistent client engagement provide us with the opportunity to continually generate content, products, services, and other emerging digital trends that matter to you, our valued consumers. 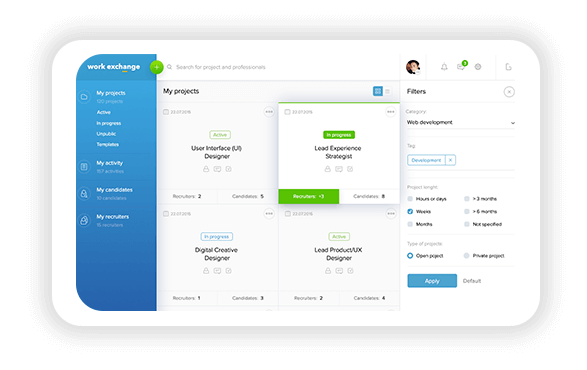 In other words, we're not just another CMS—we create novel, reliable value even earlier to the ever-evolving, user-centric world. Lastly, we would like to thank you for your contributions to and continued involvement in one of the leading site management solution projects on the world wide web. Connect with a total of 37,653 people to share knowledge together.